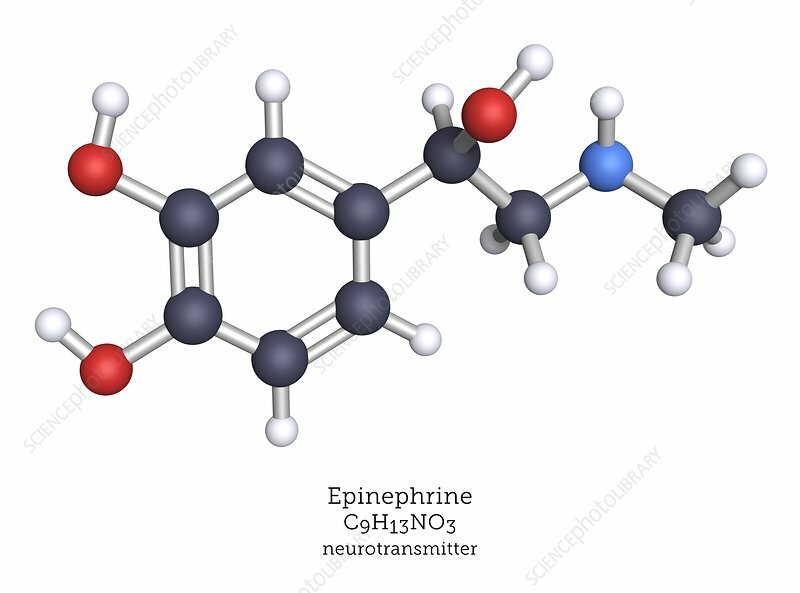 Epinephrine, also called adrenaline is both a hormone produced by the adrenal glands and a neurotransmitter produced by certain neurons. Epinephrine is produced in times of stress as part of the fight-or-flight response. Atoms are represented as spheres and are colour-coded: carbon (black), hydrogen (white), nitrogen (blue) and oxygen (red).